The internet is full of trendy upcycling ideas and we think it's a great way to reduce your household waste; reusing items you would have otherwise just thrown out. It's a creative and fun, cheap and environmentally friendly activity for all the family. Upcycling is the process of taking one unwanted thing and making it into something else that is wanted. You take an item that was headed for the bin and with a little imagination and some handiwork, you can create something new and unique. See this photo as a simple example; an old tin can has been transformed into a pencil holder. Of course, upcycling has always been around, it just didn't have this name. Your grandmother may have turned old curtains into cushion covers, or you may have seen patio furniture made from old wooden pallets. Some DIY experience is useful but by no means is it a necessity. Upcycling is a hobby that you learn as you go. Start with something simple until you are confident to work with more difficult materials and tools. 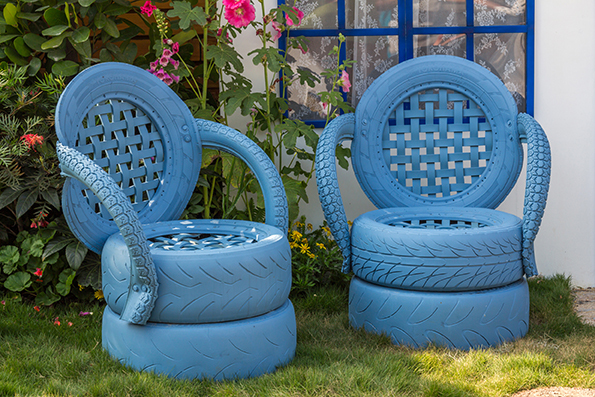 There are no rules to upcycling, just have fun and enjoy the process! These useful tools are basic essentials in any household, but especially if you are going to try your hand at upcycling. As you try out new projects, your set of tools will grow. Keep it simple. Don’t take on something you don’t know you can finish, it will only discourage you. Start small and work up to more complicated projects. Use your imagination. One person's rubbish is another's treasure. Look twice before throwing anything out. 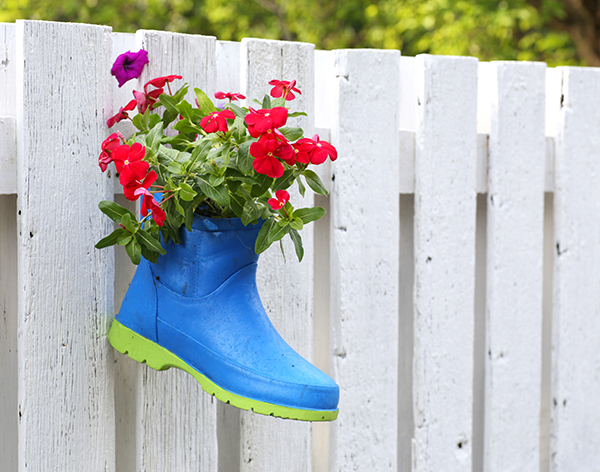 Anything can be upcycled and upcycled items can make great gifts or you could even sell them at a car boot sale. Get inspired online. There are loads of great ideas on the internet now, like painting old furniture with chalk paint or turning an old ladder into shelves. A little inspiration can go a long way and will help you come up with your own ideas. Simply Google 'upcycling ideas' or have a look at DIY projects on Pinterest. Be brave! Try not to worry too much about what other people will think of your unique creations. This is a chance to get creative, express yourself and make something that can't be bought in stores. Keep trying. You may not get it right every time but learn from your mistakes and enjoy developing your new skills.